In the local election, every political party has given priority to economic prosperity. In this context, they have made many promises. But the trust of voters can be earned only through promises that can actually materialize. In order to make election manifestoes more trustworthy, parties must learn to carefully choose what to include in it. For rural Nepal, agriculture is important but it is low-priority in the manifestoes of our parties. In other words, Nepali agriculture has been badly neglected. In fact, had agriculture been prioritized in their manifestoes, their agriculture-related policies would be more realistic. But promises like increasing per capita income to over US $5,000 in the next 10 years, upgrading Nepal into a developed country in the next 25 years and reducing the percentage of people living below poverty line to three percent in the next 10 years are hard to believe. Agriculture will be Nepal’s principal economic activity for many years to come, particularly in rural areas. It still employs about 60 percent of the population and contributes 31.7 percent to the GDP. Thus Nepal’s economic development is possible only when there is progress in agriculture. As the majority of our farmers are small landholders and mainly women, growth in agriculture will have wide impact on poverty reduction and inclusiveness. But several constraints have impeded this growth. Production areas are scattered and most are not connected with roads. No more than a fifth of irrigable land has access to year-round irrigation, while the use of improved seeds is disappointing. Sole reliance on imports makes chemical fertilizers costly and hard to get. Likewise, marketing and storage infrastructures are inadequate and post-harvest facilities absent. Although every leader knows that agriculture is the backbone of Nepali economy, providing livelihood to approximately two-thirds of the population, and constituting more than half the country’s exports, it is low-priority in parties’ manifestoes. The priorities rather seem to be roads, hydropower, drinking water, education, healthcare and job creation. Nepali Congress, the largest party, has announced development of irrigation facilities for over 1.8 million hectares of land in the hills as well as the Tarai-Madhes. Further, it has also promised integrated centers that would provide services related to agriculture. This is not enough to adequately commercialize agriculture. And the target of 1.8 million hectares of irrigable land within five year is next to impossible. 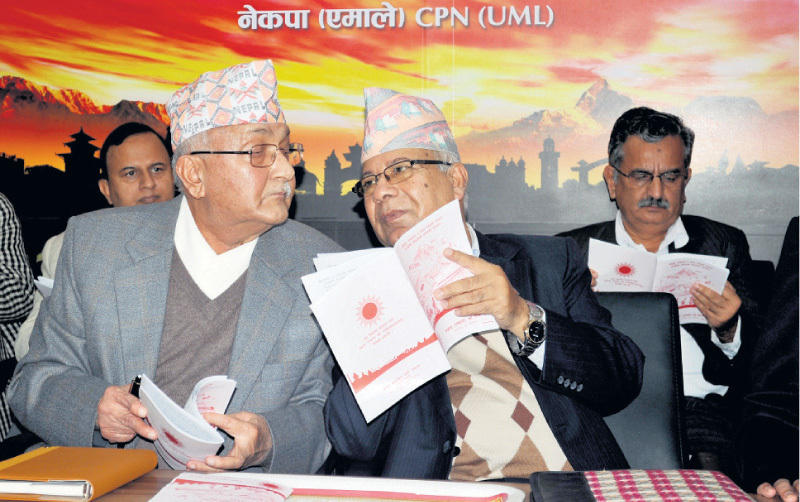 CPN-UML, the main opposition party, has also promised to modernize and industrialize agriculture through more investment in irrigation. It has committed to establish agriculture markets, integrated service centers and training centers in production areas. But it too has focused on non-agricultural activities while preparing its manifesto. 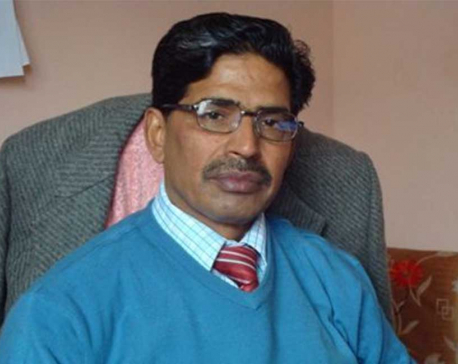 CPN (Maoist Center), meanwhile, has committed to work for double-digit economic growth through rapid modernization and commercialization of agriculture. But mechanization of agriculture, without which commercialization is not possible, has been neglected. However, as a sop, it has proposed “One village one model farm”. Similarly, Nepal Workers and Peasants Party (NWPP) too has committed to prepare land use map for different sectors such as housing, tourism, industry, agriculture, education, etc. But this is not enough for agriculture development. Naya Shakti Party, for its part, has emphasized commercialization of agriculture through mechanization and modernization. But it also focuses more on other activities. Other parties have neglected agriculture as well. Agricultural has already suffered from poor coordination, poor human resource, and inadequate finance. Providing agriculture services is a function of local government. But without addressing the above-mentioned issues, it will be difficult to boost agriculture under the federal structure. We thus need a transitional arrangement and complete transformation of the current, inadequate administrative structure. Local governments will need more resources. 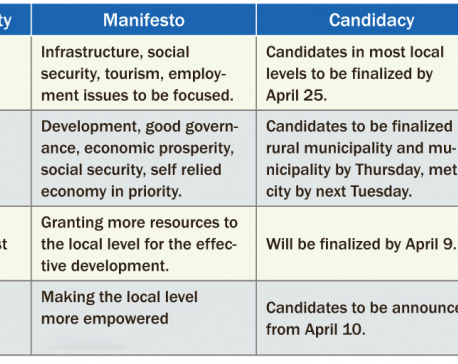 Further, as there is great diversity in local areas, each candidate should have his/her manifesto reflect local needs. Location-specific programs are important to commercialize agriculture in a sustainable way. But manifestoes of all parties are silent on this. The constitution has provided for local units called Gaonpalika and Nagarpalika, endowing them with sufficient mandate and authority. However, both Gaonpalika and Nagarpalika are organizationally and institutionally very weak. The manifestoes of all parties are ritualistic, developed by a handful of senior leaders at the center. But this is local election and each party should have developed its own manifesto for each village council. The term of local government is five years but party manifestoes include vision and programs for five to 25 years. Hence there is plenty of room to doubt the election manifestos of political parties.